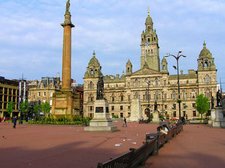 I'll be sleeping here (see pic) tonight, George Square in the center of Glasgow. I think Stuart will also be doing this, and Lynn would have done likewise but as she's already split herself into about four bits so she can be in several places at once she won't make it. This is not however some mad Glasgow bloggers sleep out, but is part of the Still Human Still Here campaign in protest against the enforced destitution of asylum seekers. This grand old square has a history of protest, most infamously "Bloody Friday" in 1919 when Tanks were stationed in the near-bye Salt Market area of the city, and English Troops sent to quell any trouble. Hopefully tonight will be a good deal more peaceful than events in 1919! In my work and daily life I’ve come across many people who are either in or have been part of the asylum system. I’ve been struck by their deep humanity, by their fortitude in believing that life can be good, that we can be kind and caring , when many of their experiences mitigate against such a view. I therefore want to take part to show my solidarity with them, to say ‘we care even if the system does not’. I also want to help highlight to the wider public the issues that surround asylum – yes these are complex but if we peruse justice (i.e. sending people “home” who are not genuine asylum seekers) without any grace, mercy or compassion, then what we end up with is not justice but tyranny. Is there an ethic of numbers, or to put it another way "what are the ethical concerns in how we use numbers"? We are confronted by this issue every day in the news, but should we be more horrified because 100 were killed than when one person dies in violent circumstances. 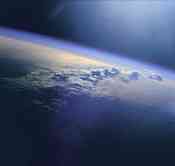 Is there a danger that by focusing on the numerically large we subconsciously raise the threshold at which we become outraged or concerned? 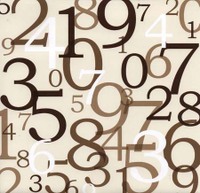 Numbers can also be used as a tool of oppression or humiliation. How does the vicar who has ten faithful in his flock feel when the guy with 250 in his church says, "so how big is your church"? We at least tacitly acknowledge that "size does not matter", but if this is true then why do we number everything we do? I'm guilty of it too....over-obsession with blog hits, etc., etc. As a form of resistance against the hegemony of numbers I've written my AGM report of the youth work and omitted any reference to numbers!